Updates on 14th July 2014: All adopted! 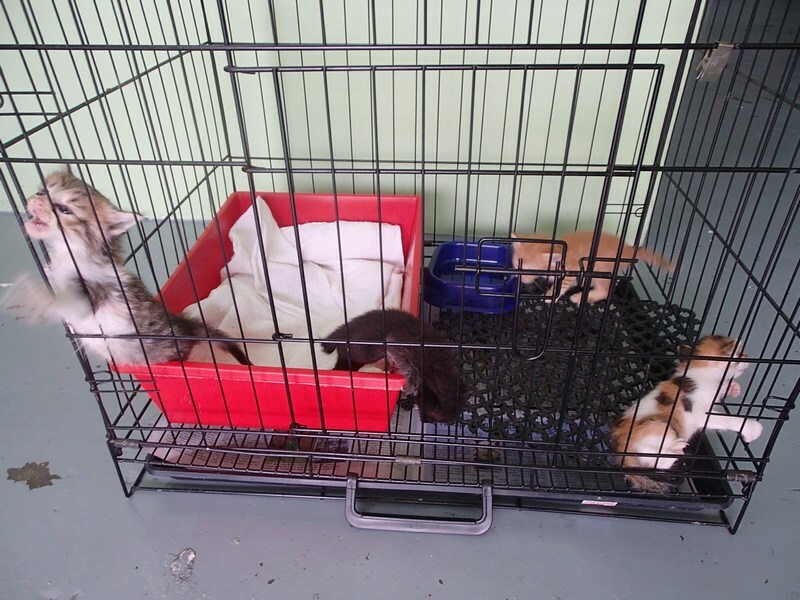 Our of the 4 babies who were adopted on 7th July, two were returned to the clinic as the family found they would be able to cope better with just 2 kittens. The brown-white (bunny-coloured) one is currently booked by another client of the clinic and awaiting to go home. We are looking for a home for the ginger kitten. 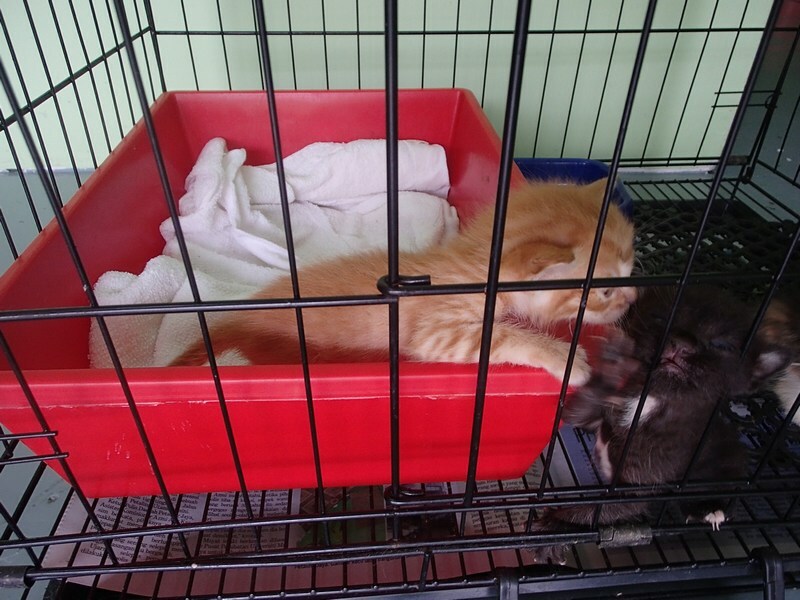 Meanwhile, the clinic also has two more very young kittens for adoption – a black and a calico. If you would like to adopt the ginger kitten (from our rescue) or the two young ones, please contact me at chankahyein@gmail.com. All have been dewormed.